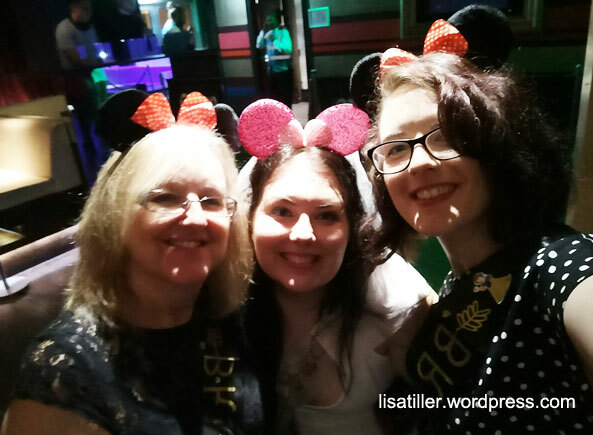 What happens on the Hen Do stays on the Hen Do, or not. My little sister is getting married in December (the 28th to be exact, which, you guessed it, means everyone’s on diets over Christmas!) and since no one does the ‘last night of freedom’ ritual anymore, the hen and stag dos were set to take place in October. It happened in Bournemouth. 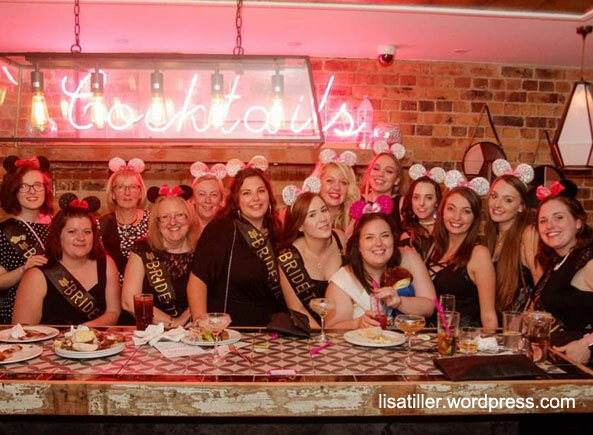 The Hen Do. I’ve already gone into detail of how the event was marred by a few unwoke men spoiling it for everyone, so that doesn’t need to be gone into again. You can read about that here if you so wish. The rest of the time was actually a lot of fun. 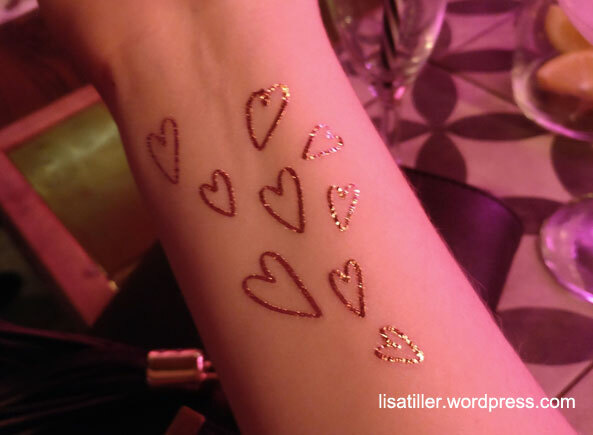 It had been planned to the nth degree, even down to the scattered diamantés on the table at the afternoon tea that kicked off the celebrations. The food itself was nothing to write home about, especially when a couple of our group opened up their scones to find they were mouldy inside! The venue sorted that out quickly and was all fine in the end, but mouldy from the inside scones…that’s quite a feat. 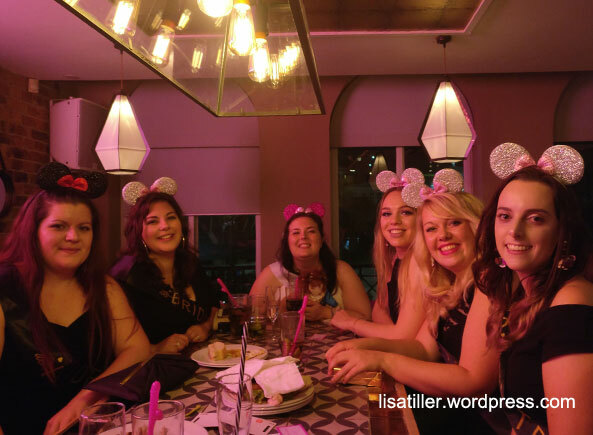 Most Hen Dos these days seem to have a theme, and this one was no different. 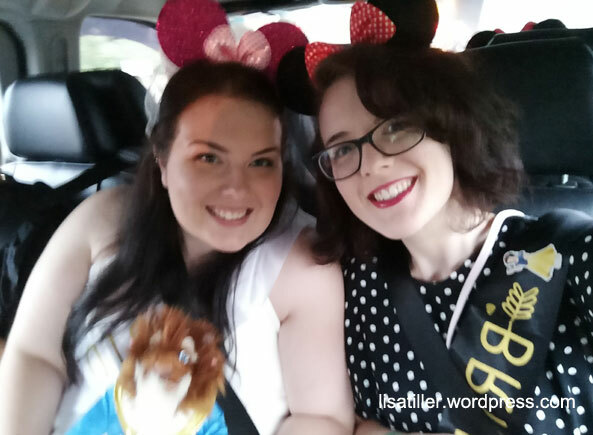 Our theme was Disney, so of course everything was Disney related in some way. 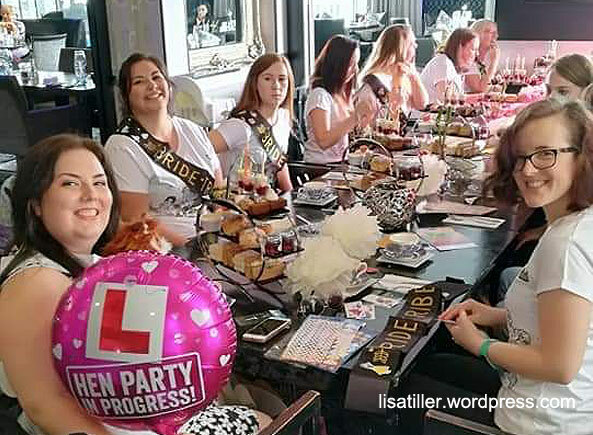 We had Disney Bride Tribe t-shirts (which were actually PJs but who cares) that we wore for the afternoon tea, I got us all sashes and ordered a load of Disney stickers to personalise them with, which seemed like a good idea, until everyone started getting the stickers stuck in their hair…I apologised a few times throughout, and by the end of the afternoon tea, almost no one had any stickers actually left on their sashes. Ah well, who doesn’t love a bit of sticker fun anyway. 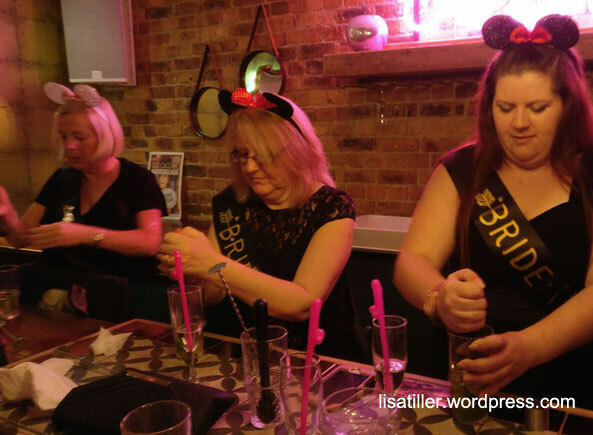 I also created a game for the Bride-to-be which needed everyone’s attention too. I got her a cuddly Beast (from Beauty and the Beast) doll which when I first presented it to her, she was chuffed with. Until I began explaining the rules of the game. Once she had hold of Beast, she then could not put him down, at all. If she did, she’d then have to do a Disney themed forfeit which were little cards with different things to do held inside a cute little Chip bag (Chip from Beauty and the Beast too). 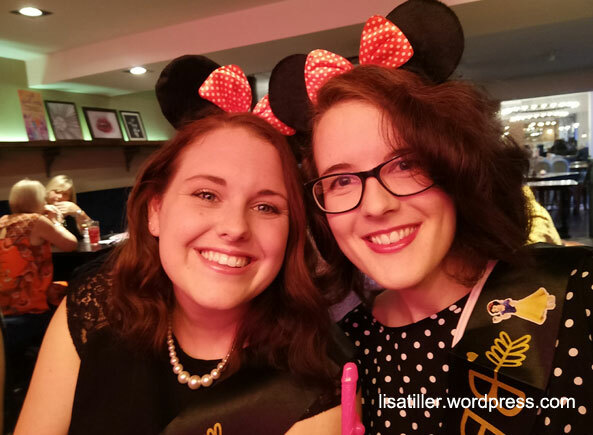 These tasks were things like ‘sing The Wonderful Thing about Tiggers whilst bouncing up and down (Winnie the Pooh)’, ‘wear your bra on the outside of your clothes for 30 minutes (The Little Mermaid)’, ‘whale talk to a stranger for as long as they let you (Finding Nemo),’ and so on. She quickly realised how hard this was going to be, especially when everyone was from then on trying everything the could to make her lose Beast. Once we’d finished the afternoon tea, we all then headed to our hotel to check in and get ready for the next part of the evening. 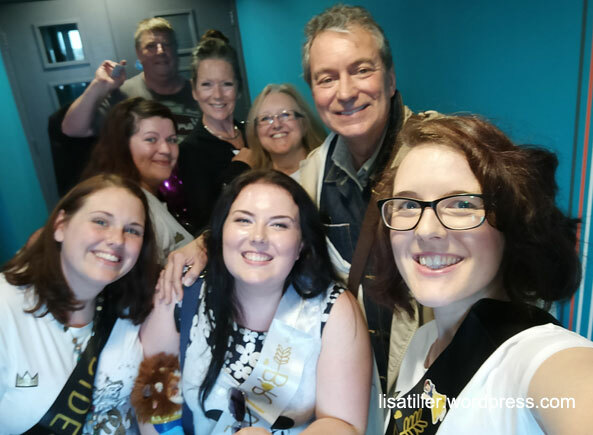 Really randomly, while a few of us were waiting by the lift in the hotel, I turned around and saw a man stood behind us and thought, ‘I know him from somewhere…’ and quickly realised it was Ashley from Emmerdale. I tried to signal to my mum to turn around and look because she and my nan have always liked that programme so she’d know who it was too, but I’m guessing my signal may as well have been me shouting, ‘hey mum, look at that guy!’ because everyone turned around to stare. “Well…I was…” His real name is John Middleton, FYI. “Not at all,” in fact he seemed rather chuffed. Just then someone came around the corner and gave him a big hug…my mum’s wide eyes and gaping mouth said that she recognised this woman too. Lorraine Chase. Afterwards my mum told us she had been in Emmerdale alongside John (Ashley) but was also known for Campari adverts in the 70s. After our celebrity meeting, we finally made it to our rooms and could begin getting ready for the evening’s entertainment. 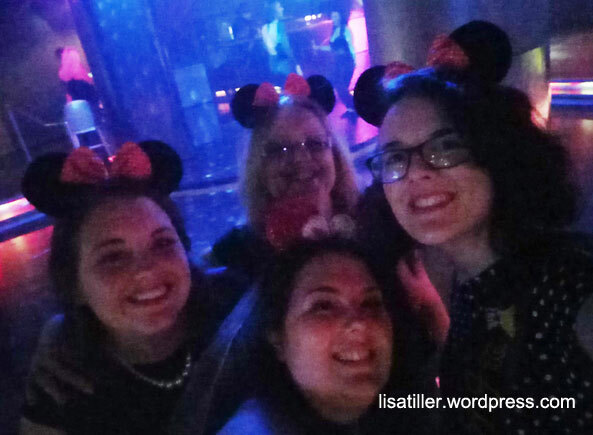 All in black, except for the Bride-to-be who was in white, Minnie Mouse eared and sashed, we were ready to go. We had a cocktail making class in which we learnt how to make two cocktails that I can not remember the names of or what was in them, but they were nice all the same. We had a bit of fun there (2-4-1 on cocktails! 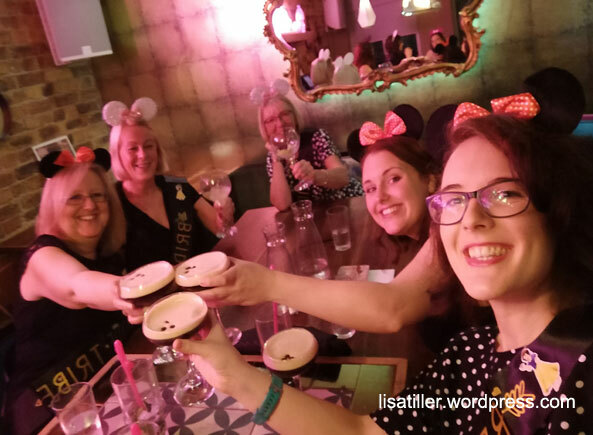 ), and some not-so-much-fun (refer to the earlier mentioned blog post for that cryptic clue) and then it was off to another club before we all collapsed into our beds for the night. The next day was booked for spa treatments and check out. Two of our group had gone by this time so the treatment that had booked were going begging which meant I managed to bag an extra one! I had a scalp massage which I thought would have included more…you know…massaging of the scalp and less pulling of my hair, but whatever, and also a quick nail polish, of which my I think my seven year old niece could have made a better job, but again, whatever. My little sister had a great time which is all that matters at the end of the day, and made all of it totally worth it. ← Halloween fun for kids!